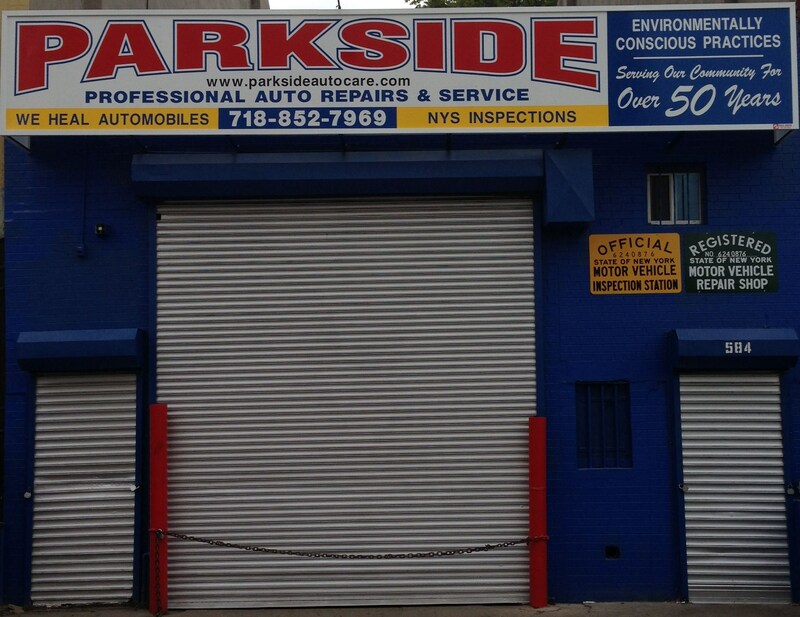 Parkside Auto Care has been serving clients in Brooklyn and the entire New York area for over 40 years. Along with our long-standing knowledge and understanding of the automotive industry, we are the leaders in customer satisfaction. We take pride in our quality service and skills when addressing your individual situation. We are also committed to being in harmony with and caring for our community and the planet. We use environmentally conscious practices in making repairs and in limiting the production of waste. Finally, we take the greatest pride in treating our customers with respect. We understand your need to have your vehicle cared for efficiently and with no unnecessary stress. Parkside and its owner Charlie are "Brooklyn Originals." If you are looking for someone you can trust to tell it to you straight…and keep you moving… call us today.